A person's experiences, relationships, and accomplishments combine to create a unique and compelling legacy for their family. Memories of that person are like ripples in water. Their love, kindness, and humor influence spouses, children, and grandchildren in an ever expanding and profound way. 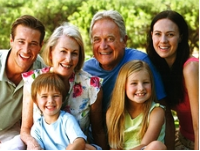 Preplanning is the best way for you to preserve your legacy for your family. It makes your wishes perfectly clear and relieves your loved ones from the burden of making difficult decisions during the most trying times of their lives. WHICH IS MADE UP OF ALL THOSE "RIGHT NOWS" IN OUR LIFE. This personal preplanning workbook deals thoughtfully with the one true inevitability of life, and has been designed to provide you a place to record virtually all of the vital personal and financial data that will one day be needed. By keeping this guide up-to-date you will provide an important ready reference for your family members at a most difficult time. You will also gain the peace of mind in knowing that your loved ones will be guided by your wishes. Many of their questions will have already been answered because of your thoughtfulness. Interest free financing is available for pre-need arrangements.